Viknesh Vijayenthiran February 7, 2018 Comment Now! 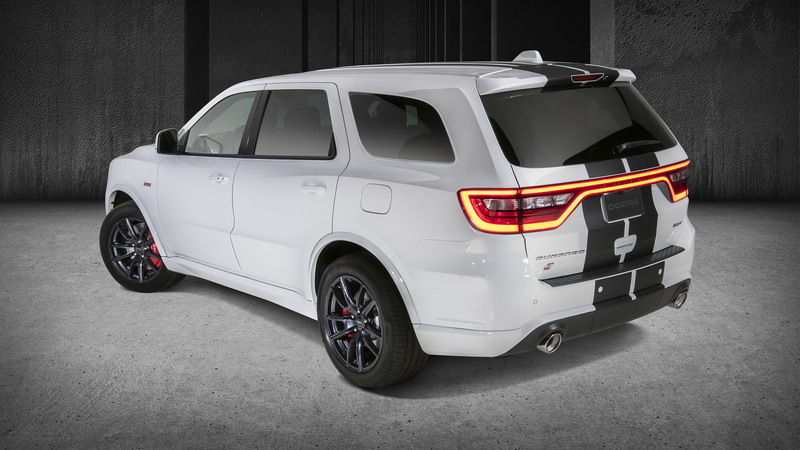 Dodge turned up the heat on its Durango with the introduction of an SRT model for 2018. Now, thanks to Mopar, you can spice things even further with a handful of accessories and performance upgrades for the popular 3-row SUV. 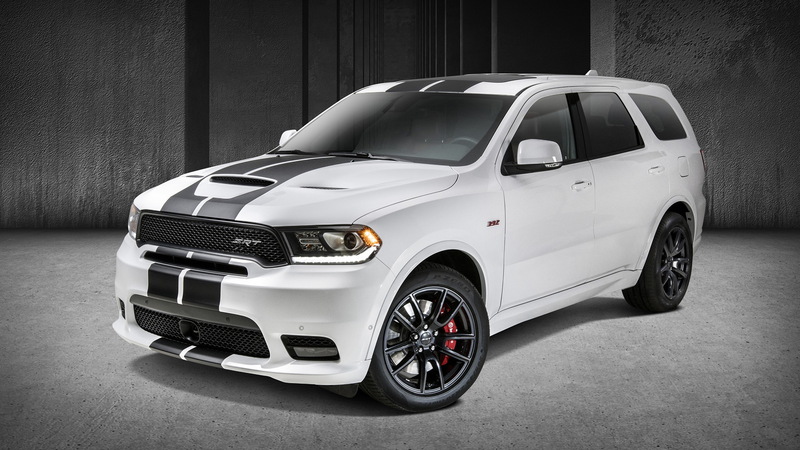 Unveiled on Wednesday at the 2018 Chicago Auto Show, the items can be added on 2018 Durango R/T and Durango SRT models and give the vehicles that custom look straight from the factory. 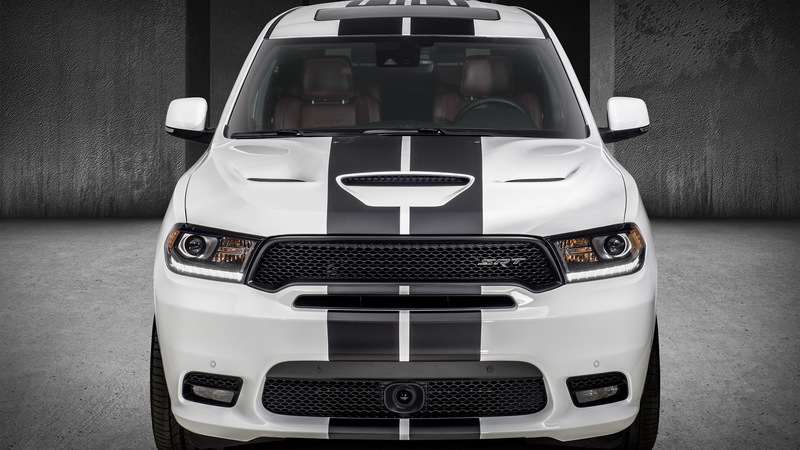 If it's just looks you're after, there's a set of racing stripes in five available colors (Bright Blue, Flame Red, Gunmetal Low Gloss, Low Gloss Black and Sterling Silver) that can be added for $1,195. There's also an interior package that adds carbon fiber accents and a few other touches for $2,495. For those seeking actual performance gains, Dodge is offering a high-flow exhaust system. 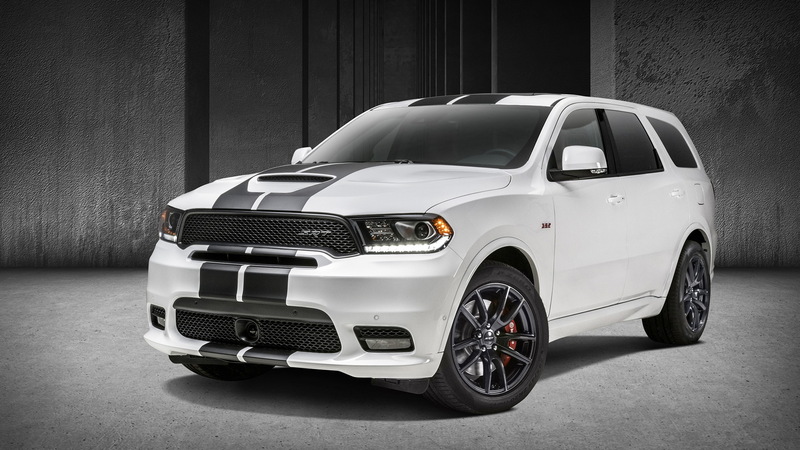 It's a stainless steel design that aids exhaust flow and improves the sound of the Durango. 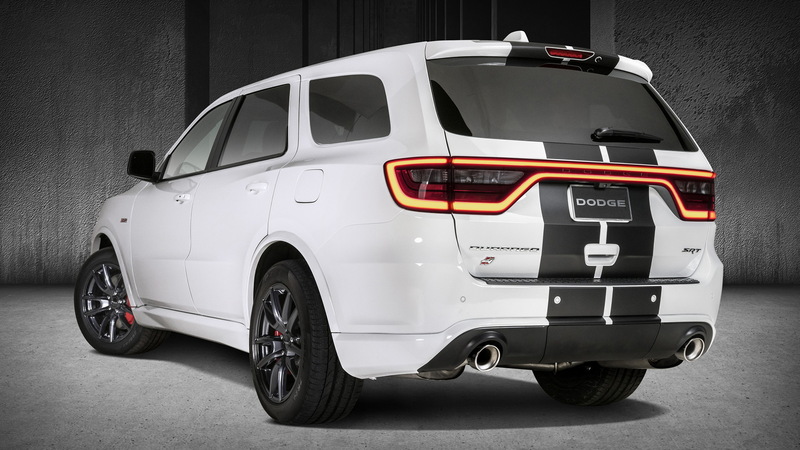 Adding the exhaust on the Durango R/T's 360-horsepower 5.7-liter V-8 will set you back $1,595, while on the Durango SRT's 475-hp 6.4-liter V-8 it will set you back $1,850. The final item is a set of lowering springs. The kit, which costs $325, lowers the ride height by 0.6 inches, improving the handling of the SUV as well as adding to its aggressive stance. Performance gains are said to include less rear-end squat during acceleration, less nose dive under braking and reduced body roll while cornering.